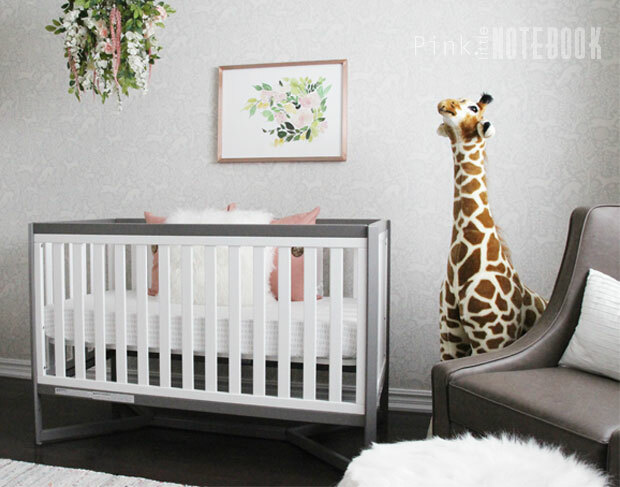 This nursery, the result of a blogger’s participation in the One Room Challenge, is adorably charming with fairy tale details like the flower chandelier and stuffed animal giraffe guardian. 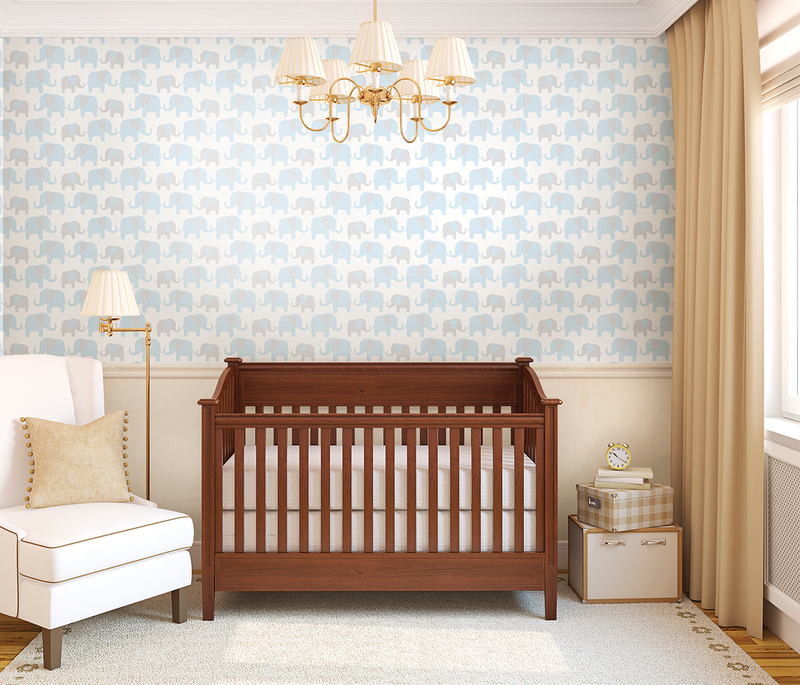 If you mixed Where The Wild Things Are and Pottery Barn, you would get this dreamy nursery. 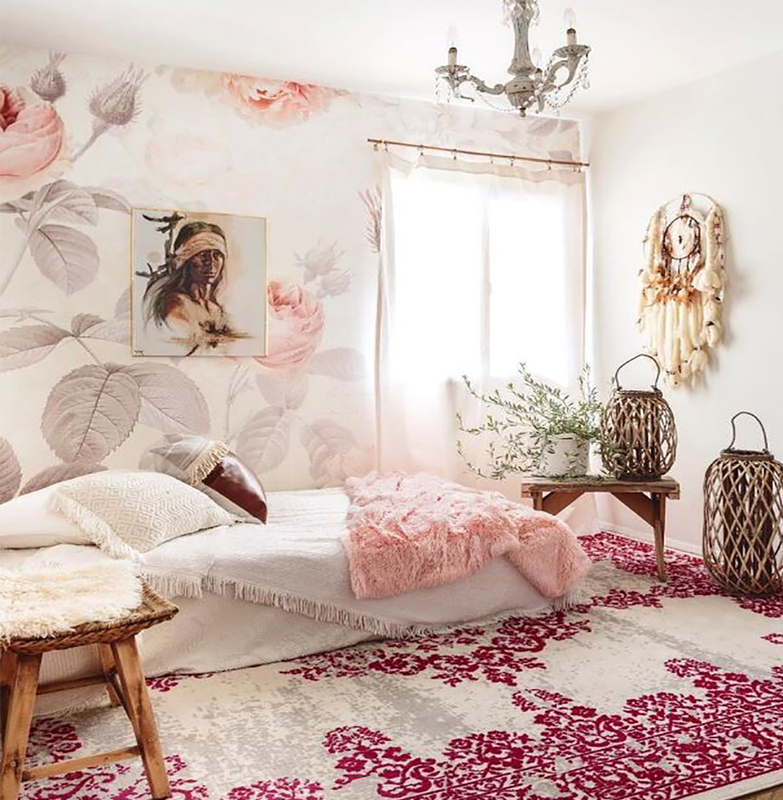 The blush accent pieces could easily be swapped out to create a gender neutral space. 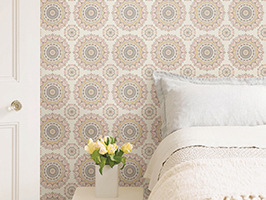 We love this cheerful shared bedroom! 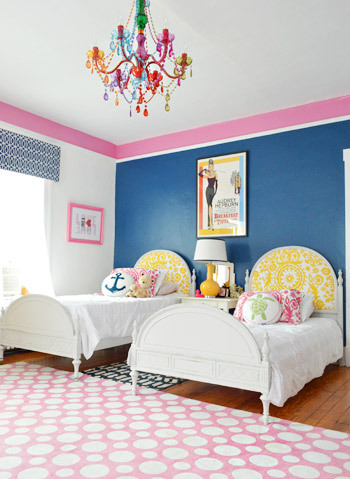 The navy accent wall balances out the pink and yellow patterns in the rug and upholstered headboards, while the rainbow chandelier is the piece de resistance. 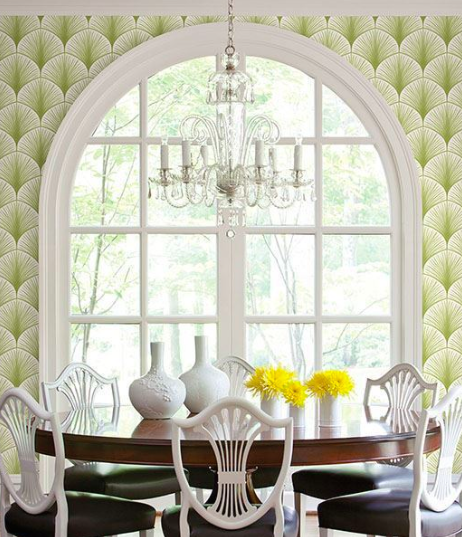 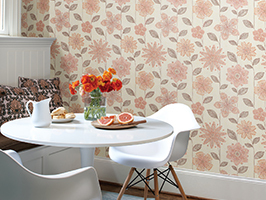 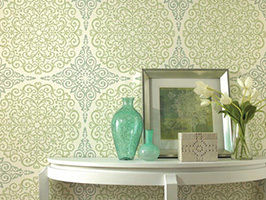 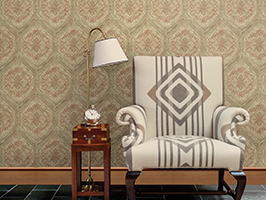 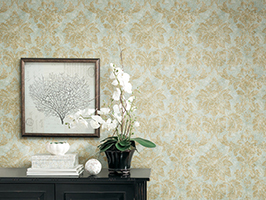 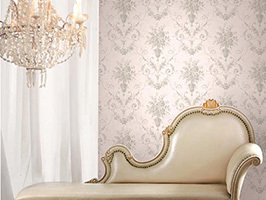 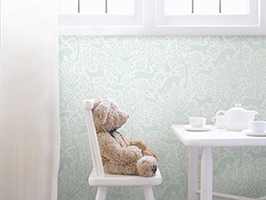 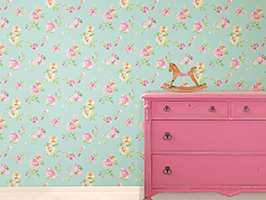 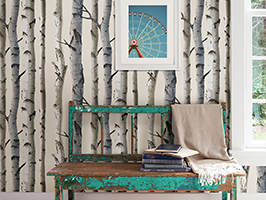 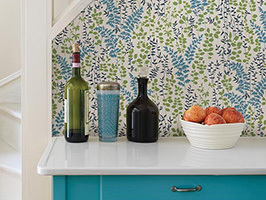 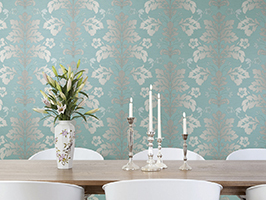 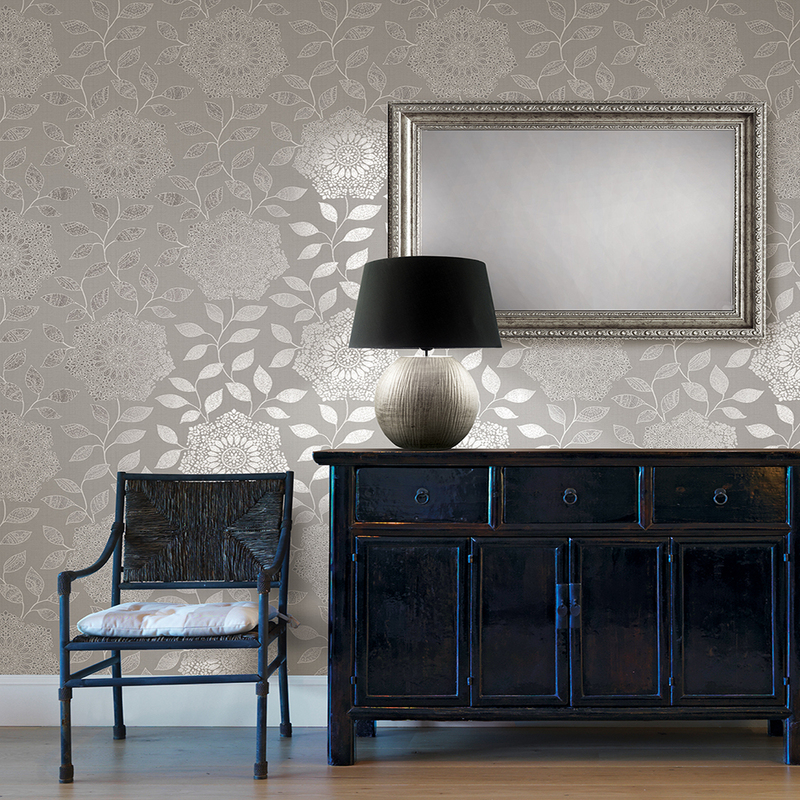 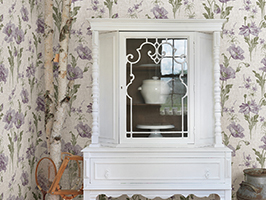 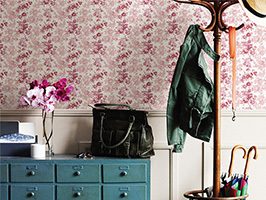 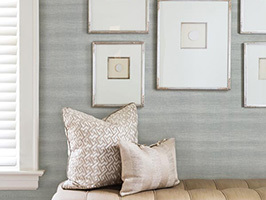 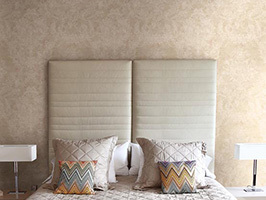 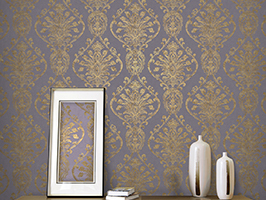 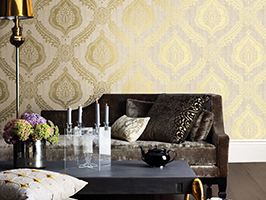 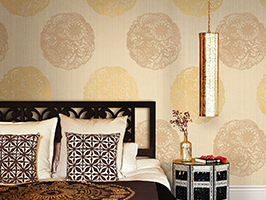 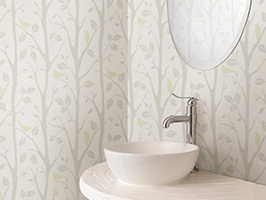 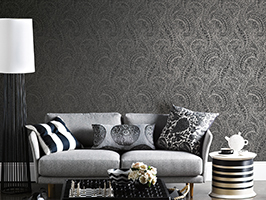 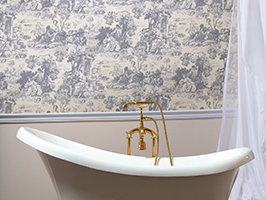 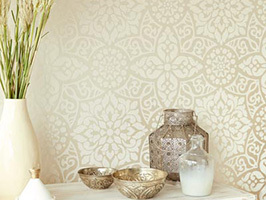 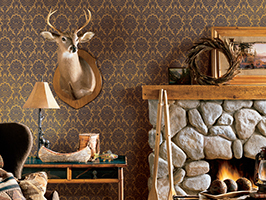 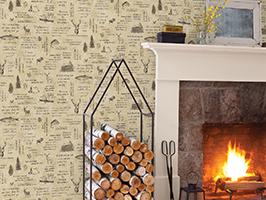 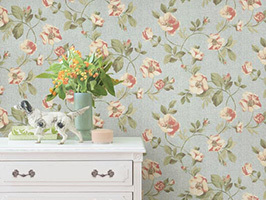 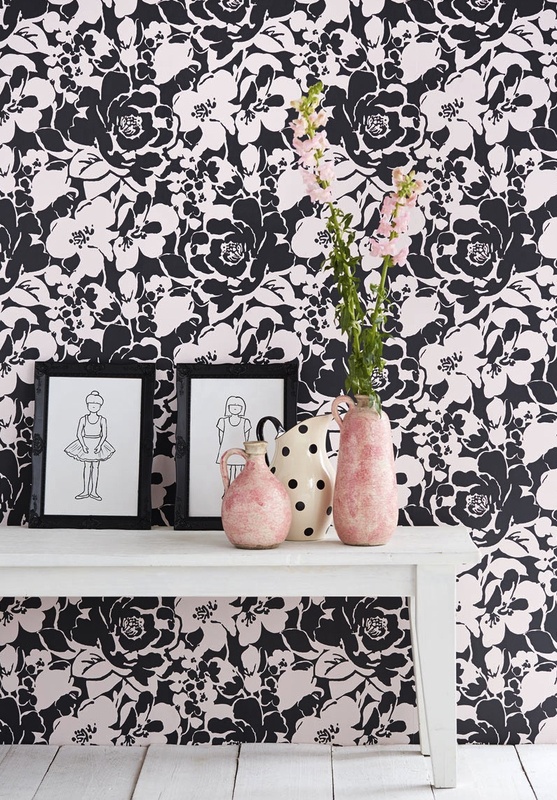 Simple but timeless furniture complement an adorable elephant print wallpaper. 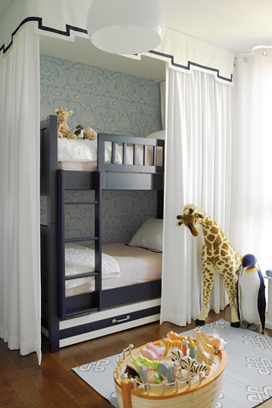 A curtain around bunk beds is both functional and stylish. 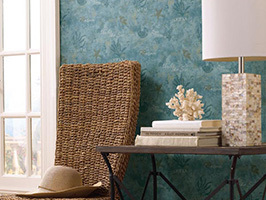 The blue palette makes for a tranquil environment. 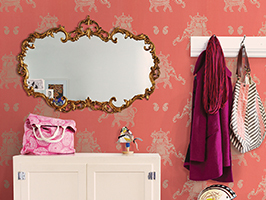 We adore the glam decor in this bright and airy nursery! 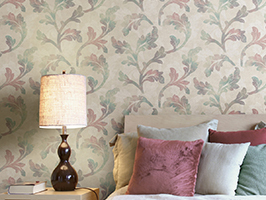 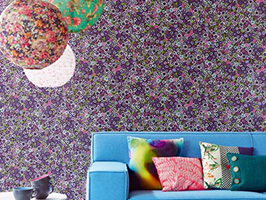 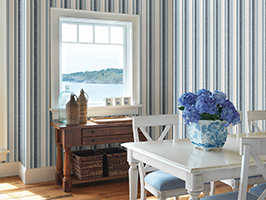 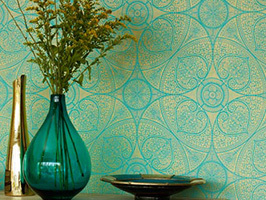 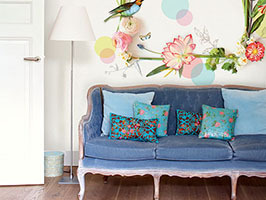 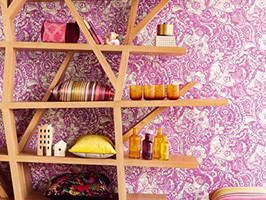 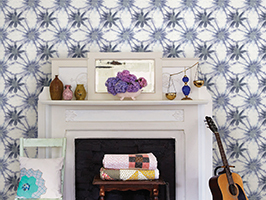 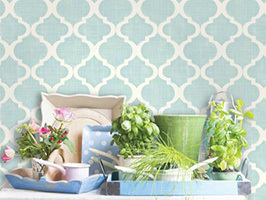 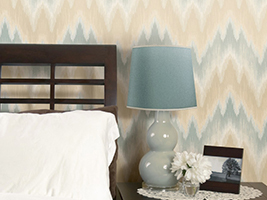 A split space is made continuous with corresponding wallpaper patterns and colors. 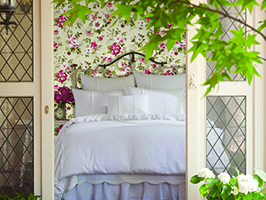 The DIY canopy and tufted headboards on twin beds give this bedroom a fairytale feel. 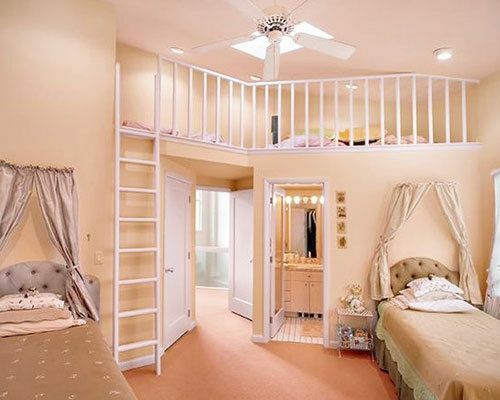 We’ve loving the clever use of space with the loft and how it ties into the castle theme. 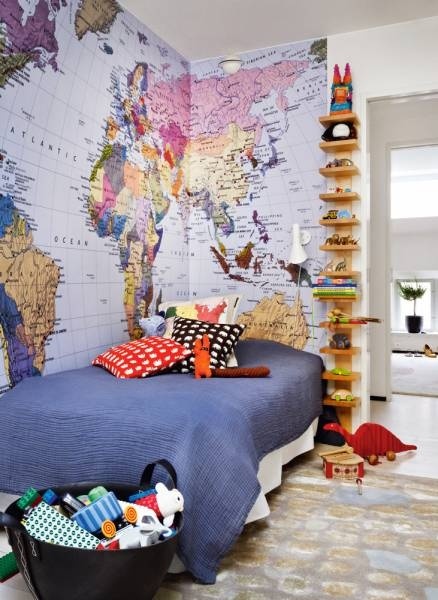 This kids room instills a sense of wanderlust and adventure with the full-wall map mural. 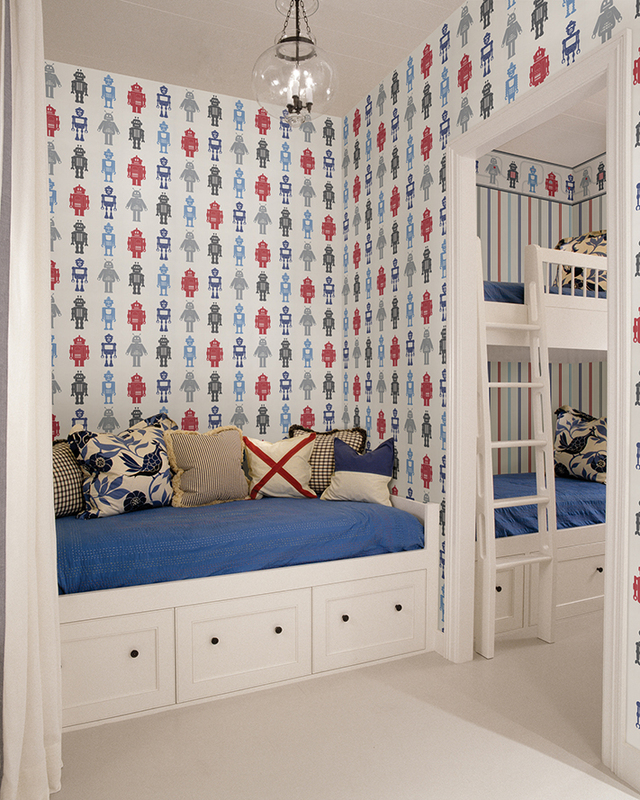 We love this nautical bedroom for the creative boat bunk beds, the chevron floor, and especially the anchor chandelier. 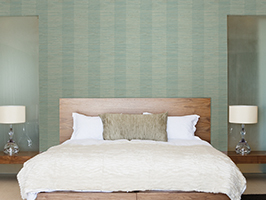 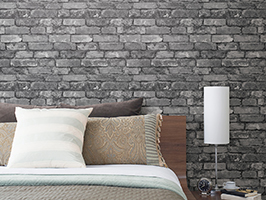 This bedroom is a work of art! 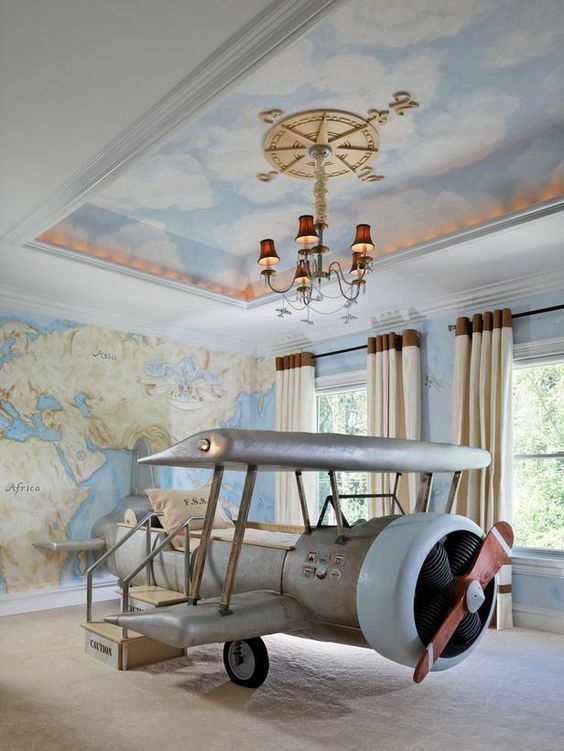 The plane bed is stunning under a compass chandelier and hand painted walls. 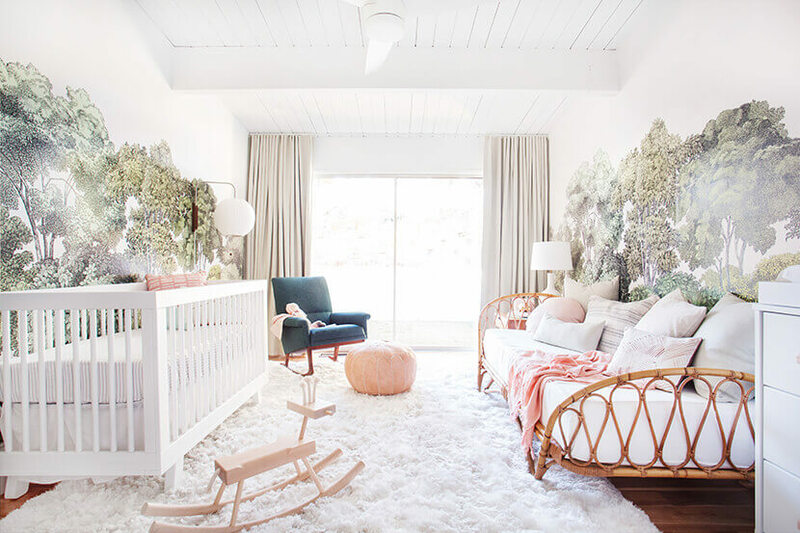 What a fun take on a gender neutral nursery! 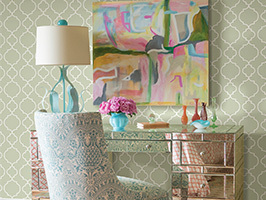 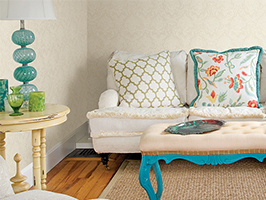 The turquoise, light green, and white work together to create a cozy space. 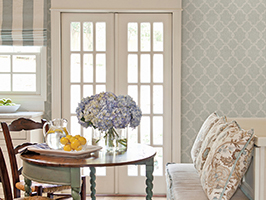 Which room is your favorite? 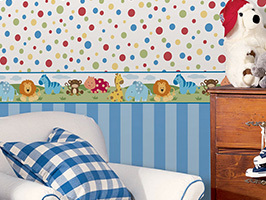 Be sure to check out more design inspiration for kids rooms on our Pinterest!